Ever wonder why the Audi logo is four interconnected rings? Of course you have; you’re a human (or possibly a hyperintelligent dog). Many of you know the answer: those rings represent the four marques of the Auto Union, the company that we now know as Audi. Those brands were Audi, DKW, Wanderer, and Horch. It now seems that Audi will bring back the Horch name, as a premium trim level on the A8. This will be similar to how Mercedes-Benz treats their Maybach former brand/now-trim-level name. It’s easy to guess that the Volkswagen Group (Audi’s owner) noted Mercedes-Benz’ failure trying to turn Maybach into its own separate brand, so Horch is likely just going to remain a high-end trim level, not an independent marque. Horch was a well-known and respected German brand in the early 20th century, competing favorably with Mercedes and Benz, even before those two companies merged. 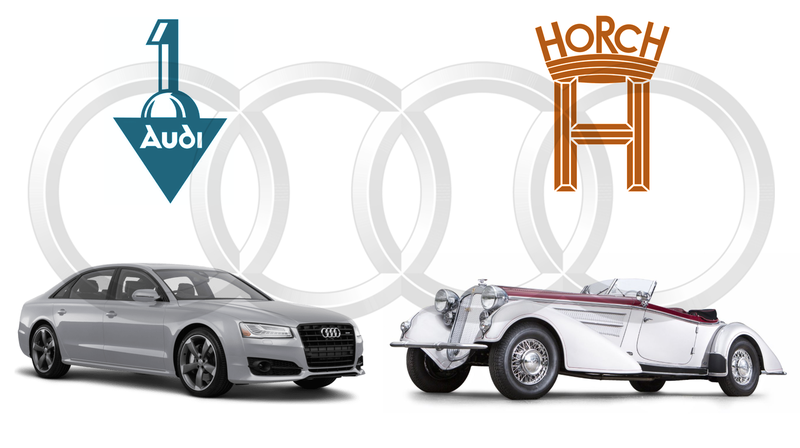 Founded in 1904, Horch was independent until 1932, when the Great Depression forced them and the three other companies to join forces as the Auto Union. It may seem curious that Audi would choose the Horch name out of the quartet of Auto Union brands to resurrect, since, in English at least, it’s not exactly a pretty word. It sort of sounds like the sounds a cat makes just before it vomits up a hairball. You’d think the evocative name Wanderer might make for a more compelling brand, but the Horch name has some very interesting ties to Audi that Wanderer doesn’t. You see, August Horch not only founded Horch, but he was also the founder of Audi. In 1909, Horch was forced out of his own company with the support of the company’s board. Horch was not the sort of person to not run a car company, so he founded, in 1910, an all new company, which he called Audi Automobilewerke. The reason for the name “Audi” is that it’s the Latin translation of the German word “horch,” which means “listen!” The English word “hark” is from the same root. With that in mind, it’s sort of ironic that both companies founded by Horch had to come back together in the Auto Union, and I’m sure long-dead August Horch would enjoy some satisfaction of knowing that his name will appear back on an Audi almost exactly a century after he had to come up with a Latin name for his cars since he was legally not allowed to use his own.